One often hears energy experts talk about “distributed energy,” but insofar as that refers to electricity, it usually just means smaller gas or wind turbines scattered about — except in the case of solar PV. Only solar PV has the potential to eventually diffuse into infrastructure, to become a pervasive and unremarkable feature of the built environment. That will make for a far, far more resilient energy system than today’s grid, which can be brought down by cascading failures emanating from a single point of vulnerability, a single line or substation. An intelligent grid in which everyone is always producing, consuming, and sharing energy at once cannot be crippled by the failure of one or a small group of nodes or lines. It simply routes around them. 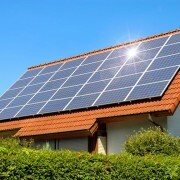 Will solar PV provide enough energy? Right now, you couldn’t power a city like New York fully on solar PV even if you covered every square inch of it with panels. The question is whether that will still be true in 30 or 50 years. What efficiencies and innovations might be unlocked when solar cells and energy storage become more efficient and ubiquitous? When the entire city is harvesting and sharing energy? When today’s centralized, hub-and-spoke electricity grid has evolved into a self-healing, many-to-many energy web? When energy works like a real market, built on millions of real-time microtransactions among energy peers, rather than the crude statist model of today’s utilities? Systems that use energy will co-evolve alongside this new model of energy production, storage, and sharing. They will be smarter and more efficient, not only in the incremental ways current technologies are becoming more efficient, but in stepwise, nonlinear ways, replacing whole systems rather than parts. My optimistic view is that global energy demand will peak and start declining later this century, even as supply from ubiquitous solar PV and storage is rising. Eventually they’ll meet in the middle, relegating other energy sources to the periphery, as backup. This is all sci-fi for now, I realize, about changes that will certainly take many decades to unfold. But the changes follow inexorably from the logic of PV. As research, development, and deployment continue, as solar PV and storage become more integrated and omnipresent, they will fill the cracks left empty by a flawed and unjust global energy system. And from there, they will seep up and out, displacing dirty combustion, creating new models and energy services along the way. It will be a long, fraught process. Any number of things could make a mockery of my prediction. Nuclear fusion or (just as likely) Tony Stark’s arc reactor could render the conversation moot. A meteor could hit. Humanity could decide to abandon Earth for other planets. Whatever. But if energy keeps evolving roughly along the paths that are visible now, the unique properties of solar PV will eventually propel it to dominance. We will find that in energy, as in so many other human systems, distributed power works better, to more people’s advantage, than the concentrated kind. Climate change is a reality and current and future generations are up against the greatest challenge that humanity has ever faced. Yet some people believe that there is a trade-off between combating climate change and delivering development for the people. Around this year’s Earth Day, it is time to explode this harmful myth. It’s time to accept that the key to dealing with both poverty and climate change is energy security. And that energy security can be achieved without fossil fuels. On a global level renewable energy is winning the race against fossil fuels as more clean-power capacity is being installed than coal, oil and gas together. Solar power is growing faster than even we at Greenpeace predicted, and renewables are now the cheapest way to provide more electricity in an ever-growing number of countries. Dharnai, a solar-powered village in India, shows how we can make the renewables boom deliver for all — including the rural poor. Dharnai is located in Bihar, one of the poorest provinces in India. It did not have access to electricity for 30 years before a solar mini-grid was installed with the support of Greenpeace India in July last year. The village faces extreme poverty, deep caste divisions and very high illiteracy rates. But life in Dharnai has been transformed in the last 10 months since an affordable solar-energy grid arrived. Dharnai is the first village in India where all aspects of life are powered by solar. The 100-kilowatt (kW) system powers the 450 homes of the 2,400 residents, 50 commercial operations, two schools, a training center and a health-care facility. A battery backup ensures power is available around the clock. Solar-powered lighting means children can now go out and play after school and finish their homework after sunset. Women feel safer venturing out after dark and families at home do not have to spend time in darkness. The arrival of solar-powered water pumps has brought new hope to many farmers in improving access to fresh-water resources. With solar energy, more villagers have been able to recharge their mobile phones regularly, and so the solar grid has also opened up Dharnai to the world of the Internet. This is just the beginning. Improvements in the quality of life of Dharnai’s residents have become the talk of neighboring villages that are eager to understand and replicate the Dharnai model. India has 80,000 other villages that also need solar micro-grids. That is why it is so important that Greenpeace India continues to work for a better life for India’s citizens and to help deliver clean, reliable electricity for all. Dharnai shows what real development — development that doesn’t cost the Earth — looks like. It is this kind of sustainable development that Greenpeace India stands for. And it shows the absurdity of recent suggestions that Greenpeace in India is acting against India’s national interest. Ironically, Greenpeace India’s work to bring energy to Dharnai has been rewarded with brickbats rather than bouquets by India’s recently elected government. The Ministry of Home Affairs (MHA) has suspended Greenpeace India’s ability to receive foreign donations and has also frozen the organization’s domestic accounts. Even as my Indian colleagues prepare to answer the MHA’s allegations, in court if necessary, the Indian government’s actions beg the question — how does delivering electricity to a village that had none, or advocating for clean air, safe food, protecting forests and legally sanctioned rights equate to undermining economic interests? But the story of Dharnai goes well beyond India. Hundreds of millions of people worldwide live without electricity. For them, the Dharnai solar-powered micro-grid could be a game-changer, a model for bringing clean, reliable energy to all. Communities without electricity, and their governments, can make a leap forward by setting up their own renewable-power systems. They can avoid the pollution from coal-burning power plants and build a clean-energy system that local communities own and control. If all of us put our efforts into achieving a renewably powered world, we can conquer climate change and vastly improve the livelihoods of people in even the poorest regions. That is the message of Earth Day in 2015. That is the message of Dharnai. Welcome to ADLER , specialists in the design and installation of solar panel systems for domestic and commercial customers in GURGAON,DELHI, NOIDA, NCR. If you prefer to know exactly who you are dealing with you have come to the right place. We offer an honest, transparent, old fashioned approach which includes monitoring system performance for two years from installation. We know many of you are put off solar by its appearance. Here as ADLER we specialise in ‘integrated’ solar roofs which offer a much more sympathetic alternative. Please see below for more info. 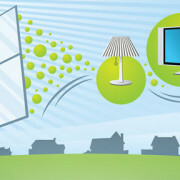 Put off investing in solar due to the ugly nature of conventional framed panels ? We can help. There are now a number of much more sympathetic alternatives at surprisingly modest prices. Today we can even integrate velux windows into a solar array, useful if you are considering a loft conversion. Integrated systems are solar PV products designed to replace existing roofing materials and they come in three forms: solar tiles, solar slates and laminates. Solar tiles and slates are of similar dimensions to traditional slates or tiles and as such can easily be integrated into a slate or tile roof to provide a solar PV array. How much do solar panels cost ?Remarkably, generating electricity for solar is now cheaper than buying it from the grid. For a 4kWp south facing system in southern England electricity from solar costs around 8p/kWh, whereas you will be paying around 14p/kWh from your supplier. And that’s a fact. With support from the government’s feed in tariff your investment will pay back in between 6–10 years. Not having the cash in your pocket is also no longer an obstacle as there are a number of options available if you are looking for solar finance. 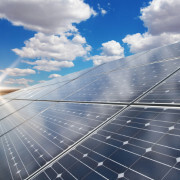 Finance for Solar PanelsThere are a range of finance options for renewable energy available for domestic and commercial solar panel installations. These range from personal finance to crowd funding. For domestic finance for solar panels, we suggest approaching Hitachi Personal Finance who provide an Environmental Loan for funding for solar and other renewables and if you are re-mortgaging for any reason try the Ecological Building Society. Commercial funding is available via a number of lenders, specifically supporting investment in renewables, including Siemens Financial Services and Lombard Finance. In addition to these more traditional financing options, crowd funding has surged in popularity in recent years. The real estate market of India is growing exponentially. Past few years have witness drastic changes in the trends of market that deals with real estate dealers and investors. Apart from availing the clients with wider assortment for selection, Indian Real estate market has become pretty transparent. This is the reason for growth in interest of those who keep struggling with the security issues for the wealth that is being invested. There are various web links that can help you in getting the deals at reasonable rates. At ADLER Group, you can expect great options for real estate without stressing enough on the fiscal plan. All you need is to pick the wise option and study the related factors carefully. Make sure that you do not make the mistake to lock a deal for the site that is being presented in a haphazard manner. Stay calm and closely examine each and every factor which can have an impact over the investment being made. There are countless dealers and web links which can help you in better deals for the market. You can access the links and look for the options matched with your needs. ADLER Group is one of the top companies working in the nation that are actively involved in Real estate market. ADLER is one of the leading companies that is involved with realtors in the country. There are various real estate experts who have placed their trusts in the company and consider it as the leading option for investors. Adlergroup.in is the web link that can help you in landing over the top sites for investing over villas and apartments. Apart from this, there are added options for those who are looking for the investing options at reasonable rates. ADLER Group is leading banners that deals with the real estate market of India. This is the best option for those who are looking for well-diversified infrastructures. The company has captured its place in notable banners of real estate and serves the clients with best options at reasonable and affordable rates. We are one of the limited groups that assures its patrons with comfort and luxurious projects without making them too heavy for the side-pockets. The group counts in various professionals that can serve you with best piece of advices while investing over any site. It has been really long since the day from when people are enjoying the services from ADLER group. To talk about the facts, not all companies are as efficient as this banner while ensuring the satisfaction of their clients. We have been working since a period more than 15 years and avails its patrons with wide range of investment options for both commercial as well as residential purposes. There are various projects that have been handled by the company in most of the urban locations. We are known for the comfort that is assured to its patrons. So, if you are looking for the banner that can serve you with desired results without complicating the deal for investment then this is the perfect group for your needs. Our company targets the real estate sites of the city that are worth for investment. 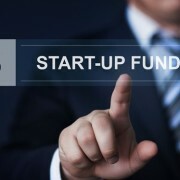 Complete advisory solution for private funding. India needs a “stable policy framework” to bring in private investments for developing urban infrastructure which faces a fund shortage of $110 billion, says a report released today. The World Economic Forum (WEF) report said India needs more than $640 billion investments between 2012 and 2031 to deliver basic infrastructure for the country’s growing urban population. With 410 million city dwellers, India has the world’s second largest urban population, it noted. Suggesting various measures to boost urban infrastructure development, WEF said the government should look at having a “stable policy framework” to ensure inclusive urban growth. There is an estimated “$110 billion funding gap that could hinder India’s ability to provide basic urban infrastructure and services to its rapidly growing urban population,” the report said. According to WEF, there is a need to create a stable policy framework for private investment in urban infrastr ..
“Once the right conditions for investors have been created, the Government of India needs to look at the various tools available such as public-private partnerships to enable investments in strategic infrastructure and urban development,” it added. Other suggestions include integrating spatial planning at all governmental levels and creating institutions to stimulate capacity building and attract talent to grow businesses. “The primary goal of spatial planning is to integrate housing, strategic infrastructure and urban infrastructure, and improve national and local governance in the context of urban development,” the report said. The report titled ‘The Future of Urban Development and Services Initiative: Urban Development Recommendations for the Government of India’ has been prepared by WEF in collaboration with consultancy firm Accenture. Alice Charles, Head of Urban Development at WEF said that in the coming decades, the pace of urbanisation in the developing world would continue to far exceed that of the developed world. “This will be exemplified by India, where the country’s urban population is forecast to almost double to 814 million between 2014 and 2050,” Charles noted. Indian government has sought to foster urban development by introducing legislation such as the Right to Fair Compensation and Transparency in Land Acquisition, Rehabilitation and Resettlement Act, the report said. Besides, various other initiatives such as creation of five industrial corridors and launch of ‘Make in India’ and the 100 Smart Cities programmes, have been started, it added. 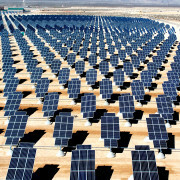 Solar power systems derive clean, pure energy from the sun. When you install solar panels on your home, you help to combat greenhouse gas emissions and global warming and reduce our collective dependence on fossil fuel. Traditional electricity is sourced from fossil fuels such as coal and natural gas. When fossil fuels are burned to create energy, they emit toxic gases that are the primary cause of pollution and global warming. Not only are fossil fuels bad for the environment, they are also a finite resource—their limited availability creates a volatile market in which energy prices can skyrocket in a short period of time. Maintaining a tradition of trust and artistic excellence, we, ADLER Interior Designers are good at handling residential design projects that include the residential interior designing of an entire house or villa. We are capable of catering to the specific needs of the client thus helping them convert their dreams into a reality. Our experts have the knack to transform a house into a home full of dreams and aspirations. We offer interior designing services including bedroom interior designing, kitchen interior designing, bathrooms designing, drawing room designing, dining area designing, terrace designing, facade designing etc. and all other areas for residences. The interior is conceptualized keeping the client’s requirement in the first priority. Residential Interior designing are more an expression of a person’s inner self, a place you will live in so it has to be appealing both the eye and your soul. Nothing is more seductive than entering a luxurious home where fine furnishings and lavish backgrounds set the tone and reflections of luxury home interiors. At ADLER we ensure you get the best service and advise for your interior designing project .Call us today for your free quote and find out the difference. We are a well known name for providing Bedroom Interior Designer that are designed for complete comfort, is contemporary and will surely help you relax and unwind. 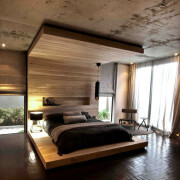 Our bedroom interior design are unique and are planned after understanding the needs of our clients. With all the modern furniture, curtains and other amenities, bedrooms designed by us gives a different living experience. The Home theaters are the custom entertainment spaces that adds to human enjoyment factor. The rooms are designed with good acoustic optimization of the space keeping in mind the intensity and direction of light. This is the space where every member of the family can enjoy in its own manner. The stylish and cozy recliners adds a comfort factor. While designing we also take care of the prevailing style of home interiors. We design beautiful mandirs base on the Hindu traditions, beliefs and culture. Different materials like wood, iron etc., are used, depending upon the preference of our clients. We design different types of mandirs that can be dedicated to one Lord or has many idols in it. We design spacious mandirs for the convenience of conducting rituals.